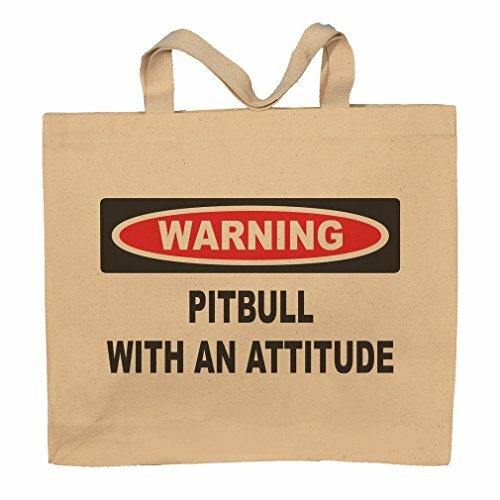 Pitbull With An Attitude Totebag Bag by T-ShirtFrenzy at Diaper Bags Coach. MPN: 10-017870-tote. Hurry! Limited time offer. Offer valid only while supplies last. Warning: Pitbull with an attitude . A Fun way to show how you feel with a totebag. The Design/Saying is printed on the front of this canvas tote bag. Warning: Pitbull with an attitude . A Fun way to show how you feel with a totebag. The Design/Saying is printed on the front of this canvas tote bag. We use the newest & best technology to print the design with great inks that are cured into the product. This new high tech way of producing garments is very fade resistant. WE DO NOT USE TRANSFERS. It is great, since you dont have that thick transfer feeling. The feel is very smooth and comfortable.